Glass tile made in Canada. The process is simple, doesn’t take long, and it’s not too expensive. Our tile is different, we make it to order in North America. This allows for small batches of unique tile. Once you’ve decided on a finish and size place your order and one of our artisans will begin production. 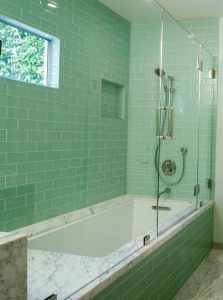 Contact us today to find the perfect tile for your shower. Fill out this form and we’ll get back to you right away.